Sasson is an eclectic artist using a variety of media to express her thoughts. She considers herself a visual storyteller concerned with personal and environmental issues. Currently Sasson uses Encaustic wax paint and mixed media to create images of color, and movement. 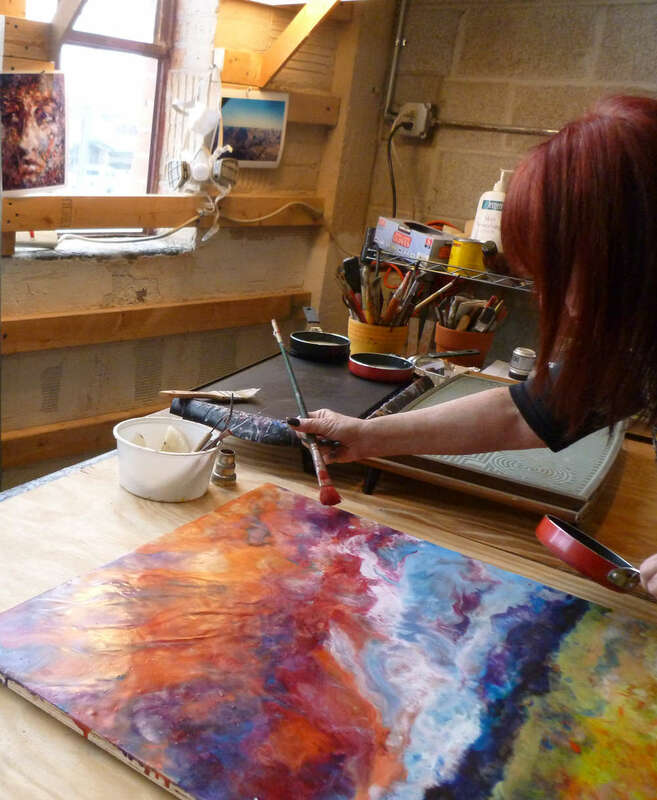 The wax surface gives an Impressionistic appearance to her abstract realism. Sasson's paintings and sculptures have become narrative stories that playfully examine her quiet spaces. During her college years she took a road trip out west and saw untouched beauty. An environmentalist, Sasson contemplates cautionary tales as she paints. Sasson wants the viewer to ponder. Sasson intends to continue on this journey. Sasson’s studio is in Pontiac Michigan, she is a docent at the Detroit Institute of Arts (DIA) and considers herself a part of the new Detroit Art Scene.